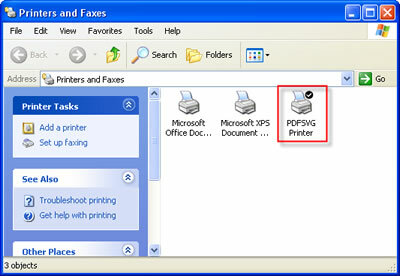 PDF Printer 2009 is a free tool for high-quality PDF creation, installed as a “PDF Printer”. This enables virtually any Windows applications to create professional quality PDF documents – with just a push of a button! With PDF Printer 2009, it is easy to create PDF documents from Word, Excel, PowerPoint, WordPerfect, Photoshop and other Windows applications. it natively supports over 300 file formats .